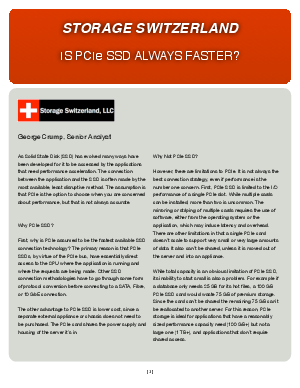 As Solid State Disk (SSD) has evolved many ways have been developed for it to be accessed by the applications that need performance acceleration. The connection between the application and the SSD is often made by the most available, least disruptive method. The assumption is that PCIe is the option to choose when you are concerned about performance, but that is not always accurate.